Kids belong outdoors, and a horde of kids eating cake even more so. 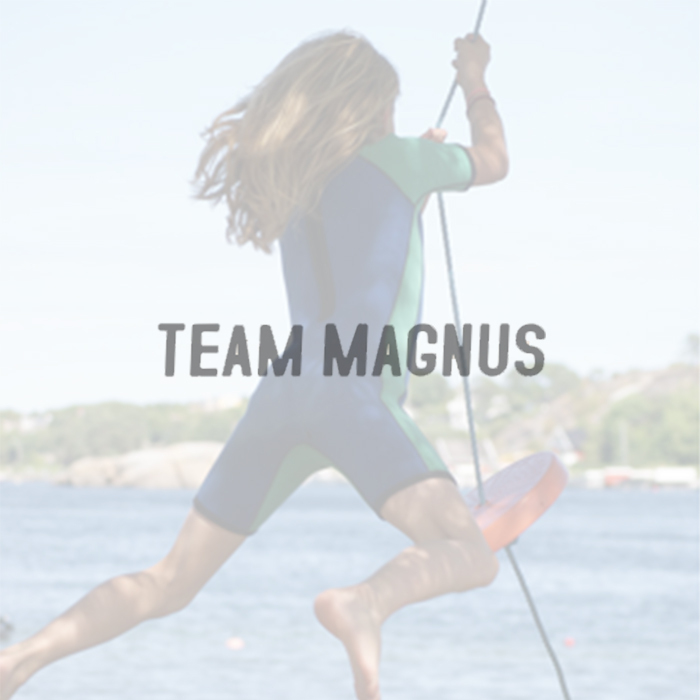 Team Magnus brings you simple tips for alfresco birthday parties - all year long. We have great ideas for the activities, the party favours, the prizes and the food. You can mix things up by kicking off the party outdoors for the rowdier games, and depending on weather, fatigue or the menu, you can invite the kids inside to round off the day with quieter activities. Using a nearby park or your own garden is certainly cheaper than hosting at a venue. Kids love it and your birthday boy or girl can tick for novelty as they hand out the invitations. Remember to keep other parents in the loop - list the right clothing on the invitations! Early nights allow great, simple games with torchlights or reflective stickers and slap bands. If you begin the party when it’s dark, you can hand out a special party gift right at the start. Kids of all ages love a head torch! If you want to stretch to the £8.00 or £10.00 unit price for decent ones the kids are guaranteed to be excited to run outside for a treasure hunt. You can make the treasure hunt topical by hiding different colour reflective slap bracelets or stickers around your garden. These costs a couple of pounds for sets. Harder to find - but possibly more welcome amongst the kids - are foil-wrapped chocolates of all descriptions. There’s nothing wrong with any party game having a winner, so if you want to decide on a main prize then hide that in the hardest spot. Keeping to the theme it could be a beautiful miniature flashlight in metallic colours - we always liked the pricey Maglites, which offer a range of sizes. Also check out LED options and funky features like tripod torches. A main prize, sneakily hidden, will drag out the party game, normally a good thing the older the kids are. Darkness makes regular games that bit more adventurous too. While hide & seek could easily be too cold at wintertime, you can throw in a variant of tig to keep the kids happy & active. Try the darkest area of your garden, limit the space so you have a reasonable overview yourself and see if you don’t get extra giggles from the kids running into each other. Hot tomato soup with macaroni and piles of soft bread go down well with most kids - easy to serve outdoors. It doesn’t require much planning to build a safe open fire with paper, kindling and then firewood burning well before the kids arrive. If it’s a dry evening, then nothing beats the fascination and novelty of campfires. A simple plan B will suffice in case of a downpour, as some of the food ideas will work indoors too. This obviously suits a small party of boys and girls, who are easy to supervise. Ensure they don’t wear precious clothing, because one or two sparks could fly. You need a big flagstone or pebbly area to build the fire on, away from damp grass. Surround it with sufficiently big rocks to protect the embers from wind. You can balance an oven rack on top to make it easier for the kids to cook. There are lots of options for fun camping-style food, and decide in advance how much you want to involve the kids. They could be mature enough to find and whittle their own sticks. Make the kids find greenwood twigs, long enough to allow a little distance from the embers. If the kids are younger and you are up for some mess, then a simple flour, baking powder & water mix can be wound round the stick, the bread dough no thicker than 1/3 of an inch, and cooked over low embers to ensure they don’t burn. The adults should probably have a couple of back-ups ready in case one kid is unlucky and is left with a very unappetising meal! A novelty party favour would be sporks - combined forks and spoons available in lots of fun colours. Always check out Team Magnus 5 for 4 offers, we think the multi-tools are perfect for the young whittlers. More expensive prizes are beautiful thermo flasks, again there are lots of colours to choose from and we find mid-sized 0.5L flasks super-handy for kids all year. It would be criminal not to finish off with marshmallows. Milder weather and longer evenings allow for more complex party concepts. We love a sport-themed party in a nearby park! Most kids get pretty excited about sports day at school and you can create little concepts that suit the age group. If every kid brings her own bike you can organise variants of modern bike races. The Rio Olympics will be host to 18 events, ranging from road and track cycling to BMX and mountain biking, so try a miniature version of this, drawing up start and finishing lines with chalk, starting the kids off in small groups, and keeping it friendly. Silver chocolate medals for all and maybe a gold medal for the ultimate winner keeps the theme going. A brilliant variation of this, to mix things up, is frugby - regular football rules played with a rugby ball. Comedy gold, and the massive element of luck evens out the skill levels of the different children. If it’s a mix of boys and girls attending, it’s our experience that girls enjoy cricket or rounders more than football. Your child will know her own guests and want to be involved. Classic sports spectator food are hot dogs - don’t forget the vegetarian options. Check with other mothers if their children would be up for back garden camping. Everyone has some gear that’s been unused all winter, and it’s fun to start the season in the comfortable surroundings of your own property. If you or someone in your family possesses a six-man tent, then we can vouch that it will accommodate 9 or 10 kids aged around 8. Start the party late, offer cold food which the kids can eat in the porch of the tent, maybe find straw drinks where spilling won’t have one kid left with a sodden sleeping bag. The young guests will love packing for this, and a good party favour would be pre-packed midnight feasts for late night giggles and games of truth or dare. Let the kids think of their own tent-based activities, it could be age-appropriate card games. Lots of student drinking games are great fun without the alcohol, maybe ask an older cousin to suggest some tongue-twister games which can keep kids who’re settling down in a circle entertained. Clear rules on morning bathroom visits, where to brush teeth and hand hygiene will keep you and other parents happy. If the other parents don’t mind the slight anarchy of a camping party, then you can be guaranteed that your child will love this left-field idea! Do you want to offer a prize to the kid who falls asleep first? Next morning she could wake up to her own colourful slack-line, and trying this balancing game out could keep the kids entertained until their parents collect them. A stack of pancakes made the night before, a jar of Nutella and a few plastic knives. Outdoors art is a winner for all kids. There are all kinds of messy ideas which involve colour and some water or bubbles if the weather is kind. Plan your available space, or sneak into a normally empty school playground on a Saturday afternoon for large-scale chalk projects. You can have drawing competitions, big versions of noughts and crosses or Hangman. You can mix up the artistic and the active by breaking things up with some chalk lines for games of sharks and fishes. Add water to create a paste with leftover chalk for more tactile work. Back in your private space you can go all out with shaving foam art - creating colourful sculptures with tons of shaving foam, happily dyed with paint or food colouring. Or the ultimate colour-fest - squirt a couple of bottles of washable paint on your slip-and-slide and see how much of the kids’ bodies they can cover in a couple of runs… Keep a couple of big gardener’s tubs filled with lukewarm water on standby for quick hand-rinses. If you’re allowing water play then warm food will hit the spot, huge trays of macaroni & cheese go down well and add to the messy theme. Be the first parents out of the starting blocks with a water party. This is a common enough idea so you’ll have to go big or go home. We suggest a water obstacle course - you’ll have enough gadgets sitting in your garage to create a fun circuit. The finishing line could be a water hose limbo dance, with all the kids moving underneath a hand-held garden hose, joined by one or two up for it parents of course. Kids generally think events are twice as much fun when the adults join in wholeheartedly. Slightly less wet is the bucket race - a relay with 3 or 4 teams racing between a full and an empty bucket with a cup to move the water from one to the other. And everyone loves water balloons - we like setting up targets in the garden (hula-hoops or buckets) and have the kids throw the balloons from the top floor of the house. Different colour water guns make classic party favours, and a top prize for the water balloon game could be a ball for the pool and beach, like the Team Magnus neoprene balls for football, volleyball or rugby. Plan a hot food option in case the shivers set in. Huge trays of home-made chips & ketchup work for most kids. If your child’s party is during the summer break and fewer friends can attend, then it’s worth pulling out all the stops for the guests. If you can find stocked ponds around your area, then consider buying your kids’ friends junior rods & reels. Around the £15 mark there are plenty of telescopic fishing rod sets for kids. This ticks for adventure, new skills and a pleasant day by the water. It goes without saying that one of the adults needs to be a competent angler, so the baiting and the fish handling are done proficiently without traumatising first-time fishermen! Angling is a leisurely pursuit which will suit some kids. If you pack your cooler bag with care and plan for a great picnic before or after your allotted hour on the pond, everyone is sure to enjoy their afternoon. New regulations mean that under-16s don’t need to purchase junior licenses for rod fishing in rivers from 2017. A river offers lower odds of successful fishing, but more alternative pursuits, like a relaxing paddle at the end or a duck race, if you aren’t spoiling anyone else’s afternoon fishing. Angling suits patient kids. To keep everyone happy we advise a cupcake-fest as a distraction after the initial picnic. Often, fewer guests can make it during the holidays, so you want to make the party count. Some back garden party games require a little prep but are both novel and exciting. For older kids we like blind water balloon volleyball. You need non-clear tarpaulin set up the same height as a volleyball net (adjusted for the kids’ height of course). You can start off with a regular volleyball like our 8-panel neoprene ball for the beach and pool. Now and then each side - when serving - can swap the volleyball for a water balloon. If you have access to a private pool, then buy ping-pong balls in bulk, mark a small number of them with the birthday boy or girl’s age, and throw over the water surface for a manic hunt for the lucky number balls. Prizes for returning the right ping-pong balls to the organiser could be a pair of table tennis racquets and the sort of net which can be attached to regular table-tops. A miniature version of this event can obviously be organised in a paddling pool, but it will be over a lot quicker. 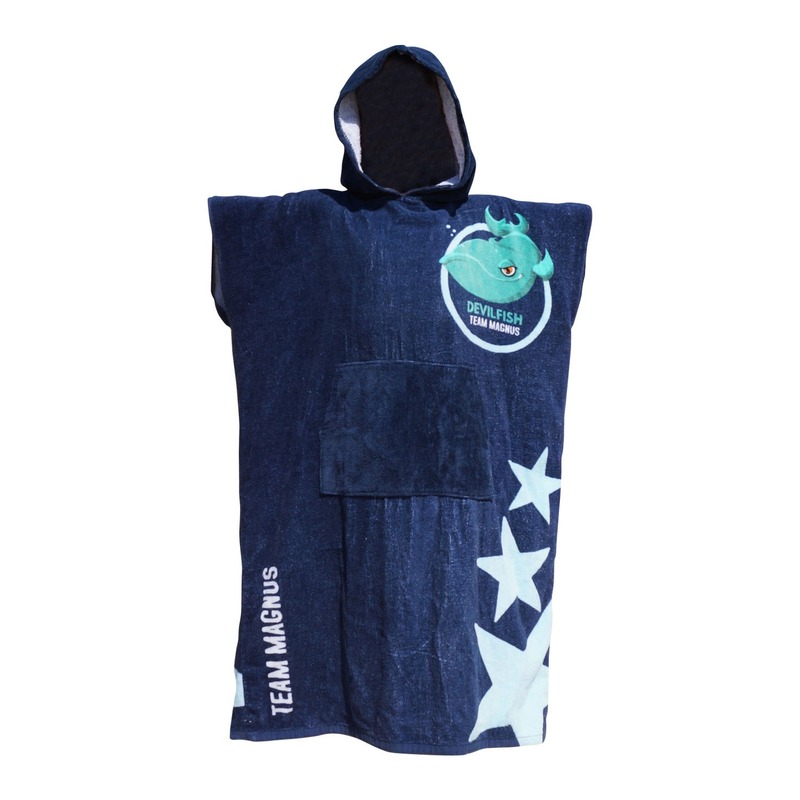 And a lot of summer parties don’t require more than the Team Magnus slip and slide to be a great success. Our XXL slide is set up in minutes and will provide hours of laughter. Summertime party favours we know work for all ages are our smart chalk sets, colourful and high quality. Go all out on the ice-creams - buy the cones, loads of different flavours for that real gelateria experience and plenty of toppings. School has started and your kid probably has both new teachers and new subjects. Does she have an exciting new topic which you can tie in with an old-fashioned outing? A bus trip to a botanical garden or natural history museum can be linked to your child’s new favourite subject. If you call up beforehand the museum will probably have plenty of fact-finding quizzes and other challenges to give some structure to the visit. A fiver to each child for the museum shop visit is a simple way to solve the party favours, and if you’re on top of your Tupperware hospitality then a picnic is a lot less stressful - and normally offers better food - than a cafe visit. The younger the kids are, the more likely it is that your destination is a new one to them. For older and more sophisticated guests choose an educational theme for your party instead of visiting an established public venue. Invest in some tarpaulin and open your garden up to some messy crafts relating to Ancient Egypt, Witchcraft, science experiments or whatever gets your child excited. A bold option is to theme the food with the period you’re learning about. Keep a sure-fire picnic winner like quiche on standby! Get in on the fancy dress early. Robust costumes for outdoors play rule out the flimsy princess and comic book hero outfits from the supermarkets, and require a little effort from you. Kids will love it if you pull out an old chest and throw in a mix of old and new fancy dress outfits. Let the guests get started themselves putting their costumes together indoors and applying some make-up before they head outside. Our tips for costumes which can last through some outdoors running around include famous athletes (all you need is the right number on the basketball or football shirt), the Smurfs (Smurf hats cost little and can be easily customised to fit the personality types) and Vikings (awesome nicknames on offer - and some rough potato sack material, leather belts and generic helmets will do). If you set your store by classic games like tig, sharks and fishes and hide & seek, the costumes will add a lot of laughter to the proceedings. Hats fall off and make-up gets smudged - it’s a simple twist on regular games. Same with an obstacle course or egg and spoon race - it’s a lot more fun when the kids are in long skirts or clutching headwear. If you’re gunning for an all-out Halloween-party, then scariest headgear of all time is a LED graveyard light glued onto a hat… Instantly creepy. Older kids who are less into simple running around games might enjoy applying their knife-handling skills to a monster parade. The idea is that you don’t stop at carving out pumpkins. Aubergine, squash, butternut - they can try their hand at emptying all of them, carving out eyes and dropping in tea lights for effect. As party favours consider our 5 for 4 neckwarmer pack - great for quick camouflage. Nigella’s slime soup is easy to cook, simple to serve outdoors and in a fun, bright green colour which kids love. If you have a chest freezer, then there are loads of ice options which offer a fun winter theme even when the temperature is above zero. These ideas are fun for some outdoors play with ice & light once it’s dark. You can freeze sheets of ice in oven trays which can be cut up to create (short-lived) lanterns, much like you’d build a house of cards. Remember you’ll need to allow for breakages in the process, so start early with the freezing so there’s plenty of building materials for the kids. With a little more prep you can fill small buckets or balloons with water, remembering to take them out before they’re fully frozen. Drill through to where the water is still sloshing about and empty the water out. When the kids are ready, they can bring them outside and and drop LED lights into the centre for fantastic effect. If you froze the balloons or buckets with a funnel in them, tea candles can be dropped in & lit. The kids will like arranging the lanterns, but the very young will need to be informed that the beautifully lit sculptures might be gone in the morning. Hot chocolate with the full works after the ice sculpture arranging sounds just right. December kids are used to lots of their friends having other things on, so parties are often smaller. You can make it special by letting a small party of friends travel to a plantation to choose and fell a tree, there are lots of options across the UK. Most of these destination offer other activities for the kids, like hay bale climbing or sleigh rides. Scandinavians love their real trees, but Brits get concerned about the needles. With an extension cable you can easily set up your real tree outdoors - by your front door or on a balcony. Most lighting is both indoors/outdoors, and you use the same tree foot. If you’ve got things ready ahead (with tree lights untangled, fully working and ready to go!) the kids will enjoy getting in on the Christmas excitement early by decorating the tree as they please. After the outdoors excitement they can head inside and admire their own work with a mug of hot chocolate to warm their fingers. Winter-themed indoor games include the Cut the Chocolate game. If a child has rolled a six in the circle he is sitting in, he has to quickly pull on a hat, scarf and mittens before cutting up a bar of chocolate with a knife and fork while the others are rolling the dice for another 6. Party favours at the end could include a really lovely tree decoration if your child embraces her December birthdate fully. Look for tree-shaped cake tins. Easy to decorate with Smarties as baubles.